Nothing is quite as fun as a sweet new beginning in life. Whether marriage or a sweet baby, enjoy giving this sweet gift for your wedding, bridal shower or for boy and girl baby showers! 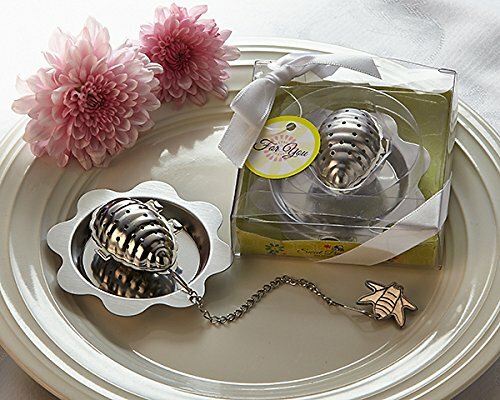 beehive shaped tea infuser with plate and bumble bee chain charm are so cute guests will forget it is a practical keepsake. A fun ready-made party favor.